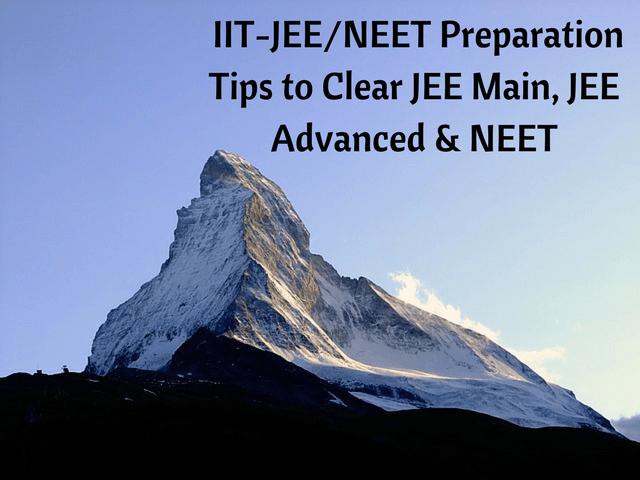 How to Prepare for JEE Main, JEE Advanced and NEET? How to Prepare for JEE Main, JEE Advanced and NEET? How to Prepare for JEE Main, JEE Advanced and NEET? IIT-JEE and NEET are two of the most challenging competitive entrance examinations. It’s important for JEE and medical aspirants to follow proper schedule, preparation tips and strategy in order to clear exams like JEE Main, JEE Advanced and NEET-UG. Here are some useful JEE/NEET preparation tips and tricks for all JEE and NEET aspirants. These tips will help you from start to end of your preparation journey. The same tips can be followed for exams like BITSAT and AIIMS preparation. Don’t get confused with questions like “How to start?”, “From where should I begin?”, “When to study?”. Start with your favourite subject. It will give you confidence to prepare well for your target exam. Follow a routine, a timetable giving equal importance to all the subjects. Be consistent. Daily studies and practice is the most important skill you need to clear IIT-JEE and NEET. Go through the JEE or NEET syllabus. You need to learn topics, understand concepts and practice questions as per the syllabus. During the course of preparation, you should revisit syllabus from time-to-time and keep an eye on your progress and more importantly make sure that no topic is left out in any of the subject. If you have backlogs, then you need to be careful that you don’t stay behind in your current topics in the class in order to cover your backlogs. Make a balance between current studies and backlogs. School breaks and vacation days may be a great time to clear your backlogs and relieve some stress. Try to follow a JEE or NEET study material over the reference books so that you can focus on JEE or NEET topics only. Don’t undermine the NCERTs. Solved examples and summary is of great help. You should study with full concentration whenever you study. Make problem solving a habit. Spend some time everyday in solving problems. Only covering the theory will get you nowhere. JEE and NEET demands a lot a practice. Go into the root of the problem, understand the concepts instead of memorizing them (some exception to Chemistry and Biology). If you are not able to solve a problem, read the theory again and again till you get the feel of the topic. Talk to your teachers and DON’T give up easily. Make a notebook of all your mistakes, revise it regularly. The sequence of learning is important. You should be aware of simple, basic concepts before knowing the complex ones. Read through your weaker sections and then attempt problems related to it. You should also know the right way to practice the problems. Focus on Concepts, Practice, Speed and Accuracy. Avoid using multiple books and material in your preparation. Quality matters more than quantity in JEE/NEET preparation. Do your homework and assignments on time and take them seriously. Make sure you achieve your daily or weekly targets. Never procrastinate. It is important that your basics of almost all the topics are clear and that you can tackle easy or moderate level problems in those topics, because sometimes easier questions may come from the topics which you didn’t prepare that well. Resolve your doubts quickly. If you don’t understand anything, ask the same question again and again from your teacher. Don’t get depressed due to low scores in tests. Analyse your performance in tests and learn from mistakes. During the exam and before that in practice tests also, do not let any question eat up your time. Skip the question as soon as you are nowhere close to the answer. Come back to these questions after you finished the whole paper once. Focus on time management and pattern of solving questions. Make notes which are easy to read for you [Note making tips]. Keep revising what you are studying, every day, every week, every month. It takes long to learn something for the first time but it doesn’t take much time to revise it every now and then. Avoid anything that can take your precious time, JEE/NEET need your complete dedication, rest of the things can wait. Be determined. There will be times when you would find it difficult to understand and manage things. Do not give up. Don’t take extreme pressure, it will be good for you if you go with a positive mind to the exam. Avoid silly mistakes, first in mock tests and then on the exam day. Remain calm and composed. Take your JEE or NEET dreams seriously. Most students don’t. Take them serious enough to become amazing and move beyond mediocre. Get coaching and guidance. Be passionate about your goals and keep remembering all the accolades and respect you’ll get after clearing your target exam with top rank. Hope the above preparation tips will help you to clear your target exam (IIT-JEE or NEET) with handsome rank. 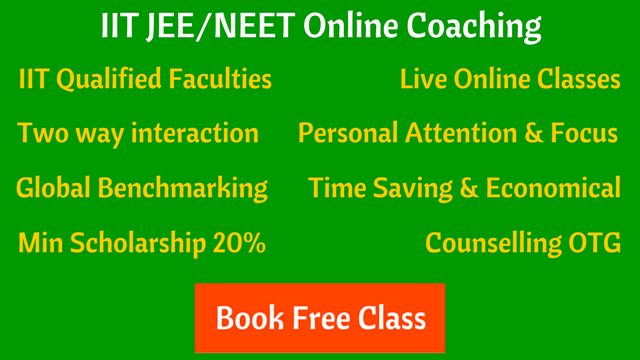 IIT-JEE and NEET online coaching where experienced and qualified teachers (IITians and Medicos) will clear all your concepts and doubts in online mode. Live and 2-way interactive classes, hard copy study material, online test series and regular counselling. Check out a free demo class now.